The Palmetto Collection has great arrangement versatility and upscale style. The sectional offer countless ways of arrangement. The set is made of all weather wicker woven over rust-resistant frames. The beautiful wicker color is Prussian Bronze. The pieces include five inch thick Sunbrella Canvas Cocoa cushions, which are completely fade and water-resistant for year-round use. 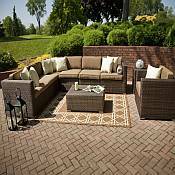 This patio furniture collection is perfect for family gatherings or for entertaining friends on a relaxing evening. You can even take a wonderful nap on the relaxing sofa! The numerous arrangement options allow this set to be adapted to many different entertaining events. 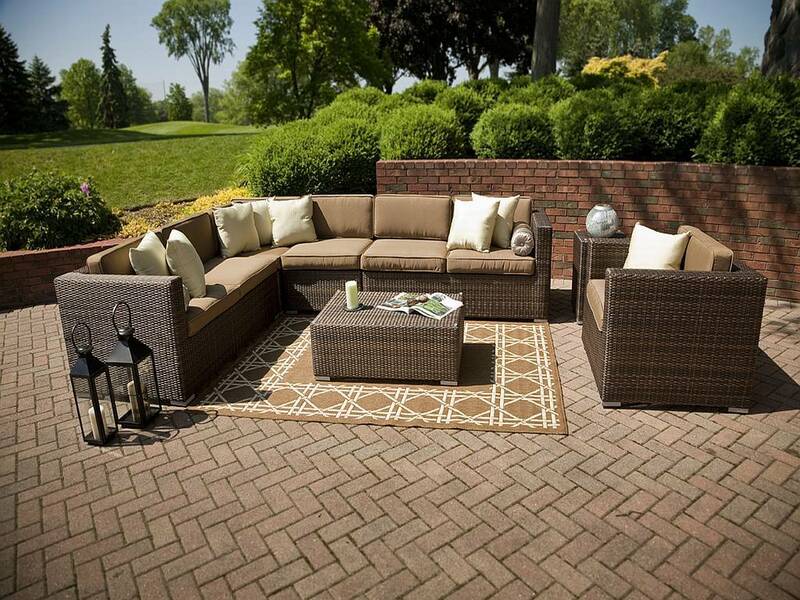 The Palmetto Collection will provide years of enjoyment, comfort, and versatility.